Post Christmas hike; day after St Stephen’s Day (27 Dec 2017). A hike for my REGULARS in the Laragh area followed by Carvery Lunch (~€12) in Lynhams of Laragh, which I’ve provisionally booked for 25 people. 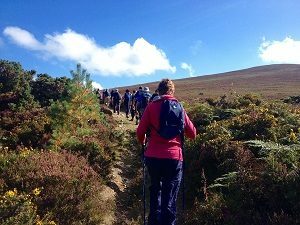 We will hike Trooperstown Hill from the Laragh side + Round Hill (not too tough and fits the bill; see previous outing there http://www.meetup.com/MikesWicklowHikes/events/231039239/).